When the first group of college freshmen born in the new millennium arrived on campus recently to start their studies, many brought with them only a few pieces of luggage. 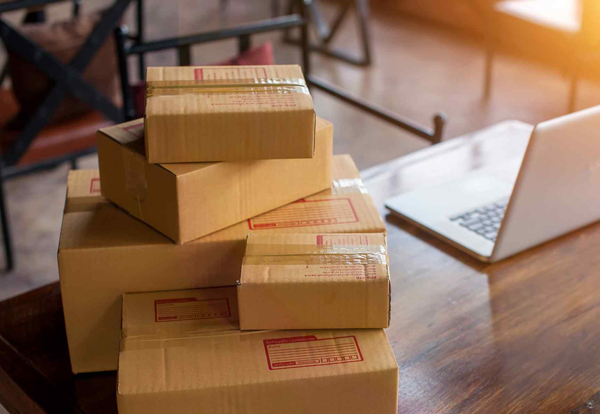 Unlike their parents, who aimed to save money by bringing virtually everything they needed for university life, many of the new generation depend on couriers to deliver things purchased online. “They buy everything they are allowed to use at school online. I’ve delivered parcels containing a mini refrigerator, washing machine, electric cooker and a pet turtle,” said Zhang Manzu, a courier based at Tsinghua University in Beijing. Although the prestigious university’s freshmen registration started weeks ago, there were still dozens of freshmen dressed in military training uniforms picking up their parcels at the school’s delivery cluster and hurrying away. In the afternoon of Sept 3, freshmen were observed carrying parcels, which included a low-power steamer pot, a box of iced snow crab, and clothes and shoes. “One bought a witch’s broom to perform a play at the welcome party for the new students, and some bought charcoal for a barbecue party,” Zhang said. Zhang said the number and variety of parcels he handled reached a peak at the start of the new school year. “Most freshmen bring some luggage from home but buy necessities and comfort items online,” he said. In Hangzhou, Zhejiang province, freshman Yang Hui, from Yulin, Guangxi Zhuang autonomous region - a freshman at Zhejiang University - said it’s natural. She brought clothes and quilts from home but ordered more than a dozen things online, including a hair dryer, since she arrived 10 days ago. “It’s not convenient to carry all that stuff from home,” she said. Besides the parcels she’s already received, the 17-year-old plans to buy more containers and decorative wallpaper to make her dorm room cozy. “I’ve already put them in my shopping cart,” she said. Cainiao Yizhan, a courier company with nearly 3,000 branches on campuses across China, released a list of universities showing which students receive the most parcels. The top three are Yunnan University in Kunming, Yunnan province; Xiangtan University in Xiangtan, Hunan province; and Jiangnan University in Wuxi, Jiangsu province, where nearly 10,000 parcels are delivered to freshmen via Cainiao Yizhan every day, according to information provided by the company. Huazhong Agricultural University in Wuhan, Hubei province, ranks No 5 on the list. The Wuhan Evening News reported that the estimated number of daily parcels at the school was 8,000, and one student received 36 parcels in a week, more than anyone else. Zong Mei, a 36-year-old who works at a university in Beijing, said that 17 years ago, when there were no online shops, she and students of neighboring universities all went to a nearby supermarket for necessities. “For students now, purchasing online is convenient and they shop every day. As the new semester began, a freshman ordered a closet because the built-in one in their dorm isn’t big enough to handle the increasing demand for clothes,” she said. Zheng Wenfang, a doctor in her 40s in Wuhan, said when she first went to college to register, her parents helped her carry all her luggage, including a washbowl, by bus from home to the school. “Nowadays, it’s easier for young adults to have things delivered because of the rapid development of the express industry. We couldn’t imagine that before,” Zheng said.